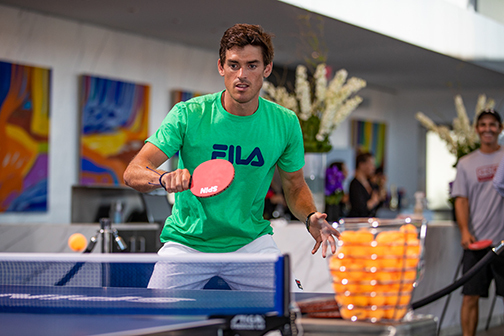 The One World Players’ Party includes an evening of elegant signature cocktails and exclusive networking highlighted by a $25,000 Prize Ping Pong Pro-Am Shootout with WTA/ATP pros and amateurs. 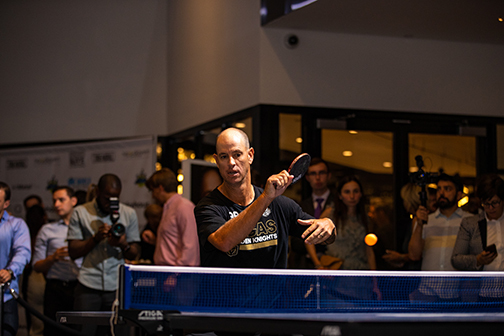 Beneficiaries from the evening include the National Tennis Foundation and additional player charities. 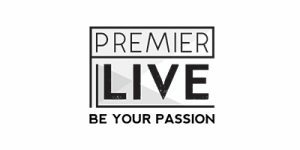 Organizer Premier Live is excited to welcome guests to this competitive, fun and unique event. 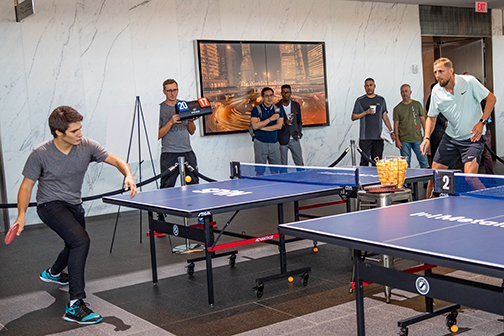 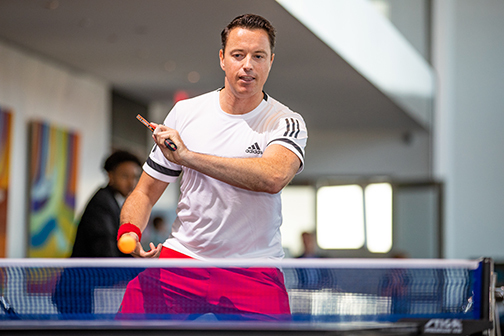 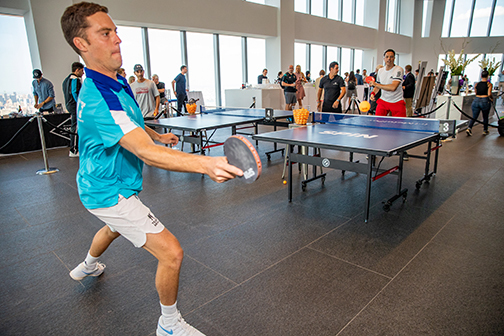 START LABOR DAY WEEKEND OFF WITH A BANG BY JOINING ATP/WTA PROS AND AMATEURS AS THEY COMPETE IN THE ONE WORLD PLAYERS’ PARTY PRO-AM PING PONG SHOOTOUT ON THE EVENING OF THURSDAY, AUGUST 29TH DURING THE US OPEN! 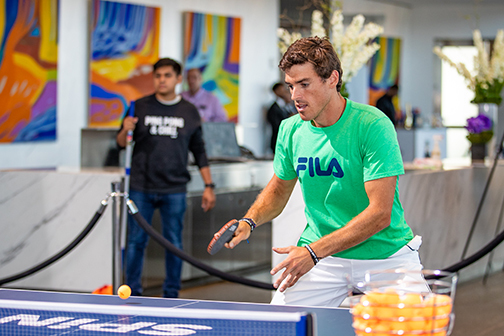 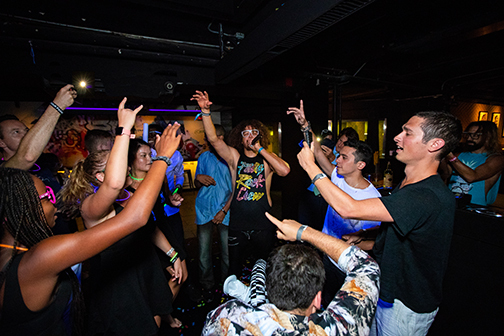 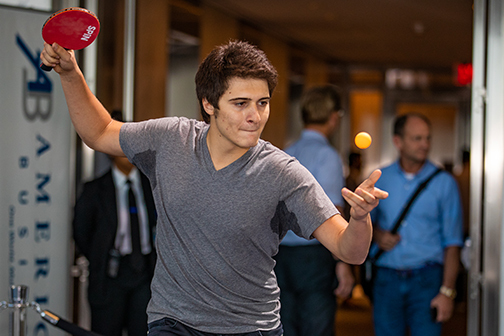 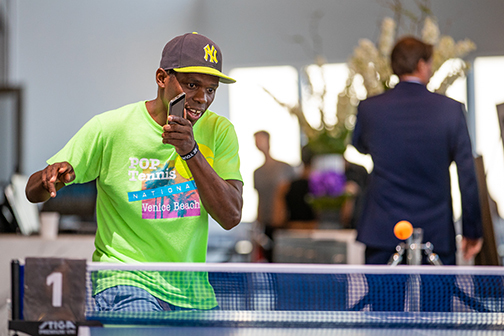 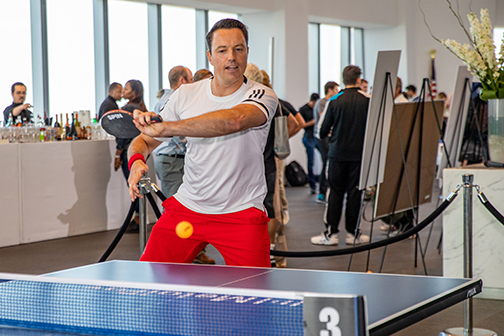 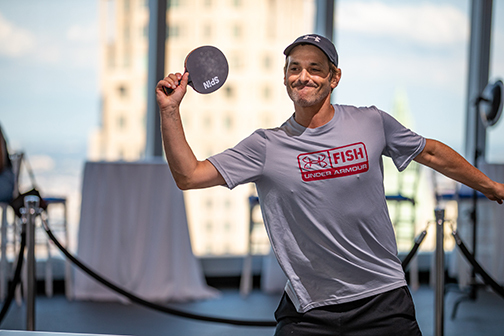 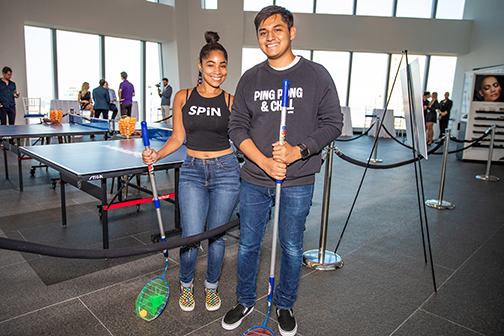 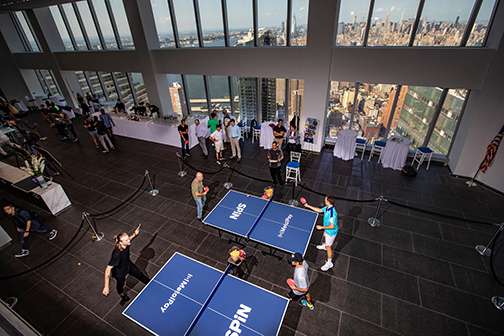 Last year was so much fun, and we feel having the One World Players’ Party and Ping Pong Shootout take place on an evening during the US Open, partnered with it leading up to the most eventful holiday weekend, could not be more perfect! 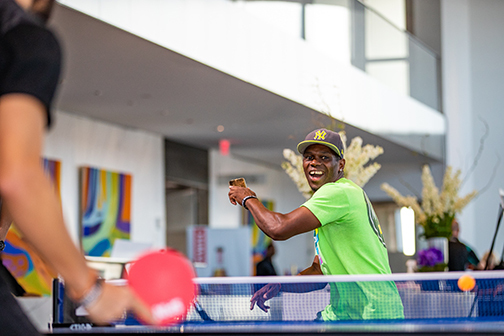 We can’t wait to share the excitement, pros & celebrities and new inclusions this year! 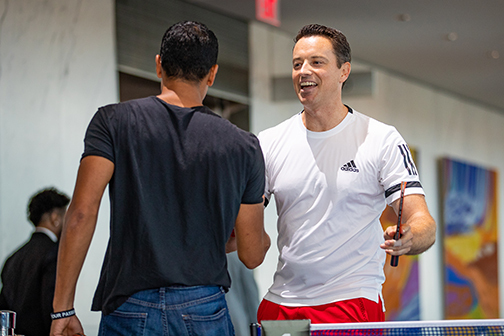 Player Experiences include Shootout Spots for full Participation entry into the main tournament and Qualifier Experiences where guests can qualify their way into the main draw! 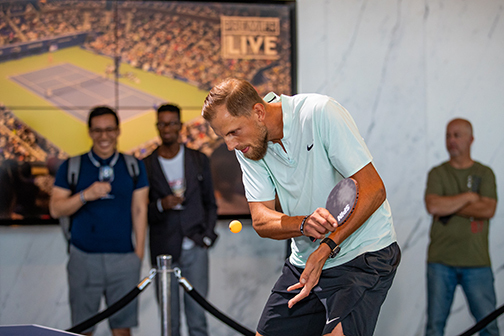 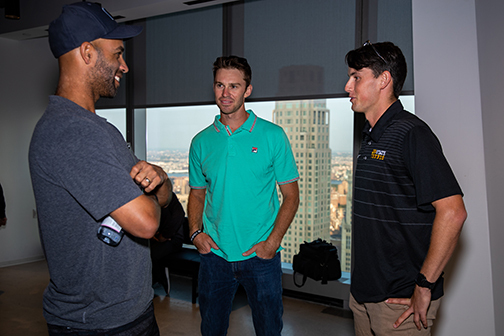 If spectating is more your speed, join ATP/WTA pros and celebrities during a VIP Reception Experience before the main event or enjoy time watching the main draw with the Spectator Experience. 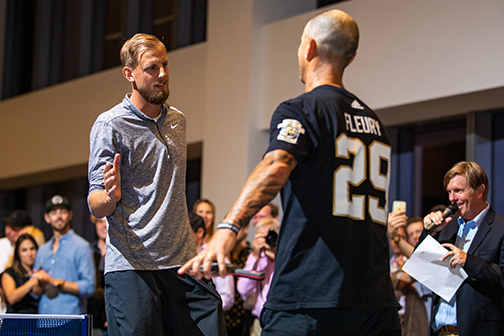 Player Announcements to come! 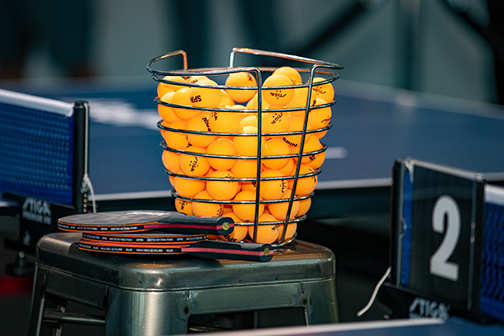 Trophies will be awarded to the winners and prize money will be divided amongst first & second place along with semi finalists. 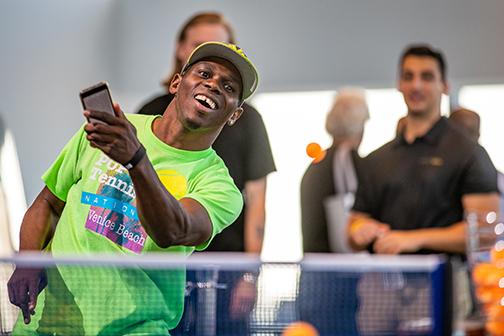 You are invited to secure your spot to compete for a chance at the $25,000 prize purse against ATP/WTA tennis pros & legends and other amateurs as you participate in the One World Players’ Party Pro-Am Ping Pong Shootout. 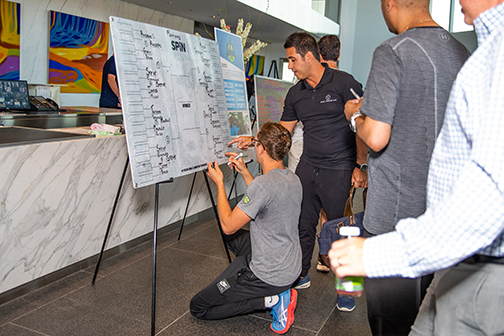 The round robin format offers each amateur the opportunity to play against each participating pro. 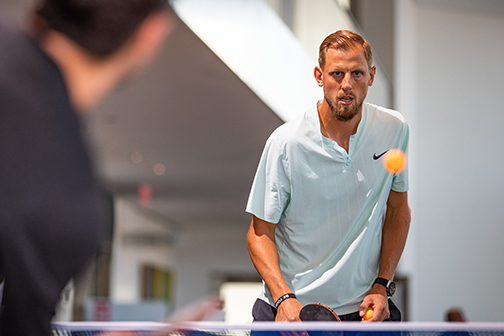 You are invited to come in early to hone your skills in a ping pong qualifier where the winner will receive a spot in the main event to compete for a chance at the $25,000 prize purse. 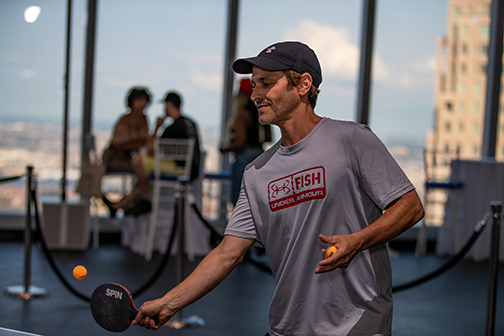 In addition, you will feast on a leisure dinner with the pros and celebrities prior to joining guests at the main event. 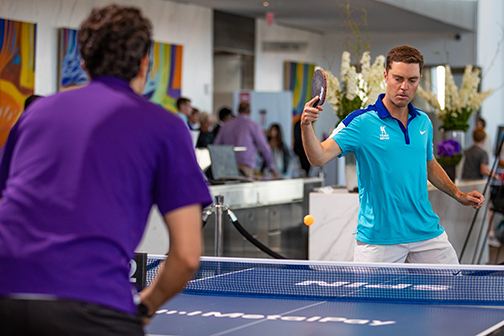 You are welcome to join us back at the main event at 8pm to enjoy an evening of mixing and mingling with ATP/WTA tour pros and celebrities, whilst watching the celebrity ping pong shootout. 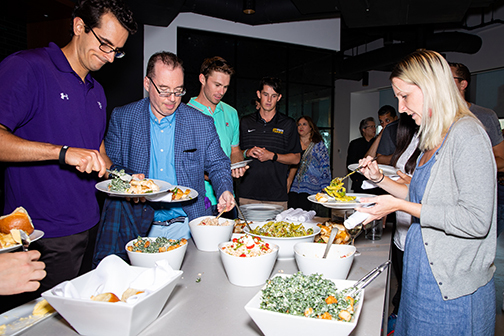 You are invited to come in early to feast on a casual dinner with the ATP/WTA pros and celebrities prior to joining guests at the main event. 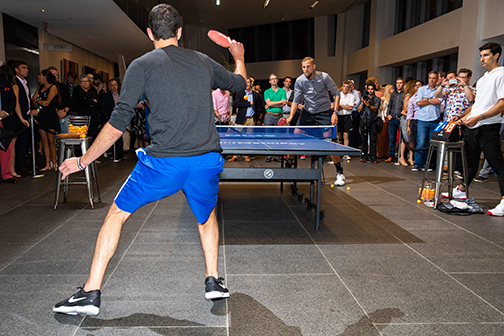 Then, enjoy an evening of mixing and mingling spectating the awesome matches between ATP/WTA tour pros, celebrities and amateurs, whilst watching the competitive ping pong shootout. 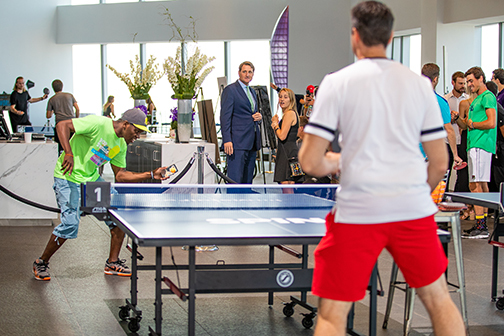 You are invited to enjoy the company of ATP/WTA tennis pros, legends and celebrities while networking with other guests – all while you watch the celebrity Ping Pong Shootout during the One World Players’ Party. 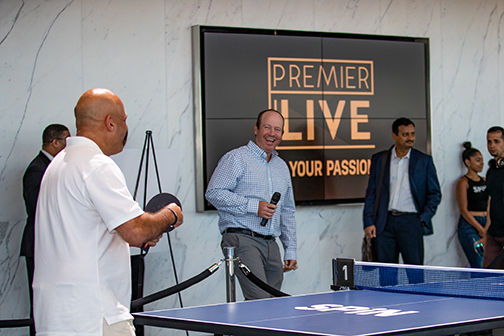 Premier Live offers you the opportunity to experience the drama, atmosphere and world class tournament in person with our fantastic US Open Labor Day Weekend package. 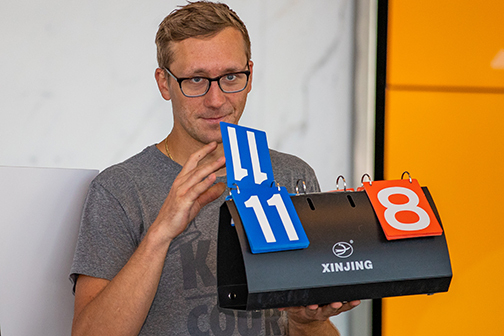 If you wish to customize a package, please let us know your specific requirements and we will gladly make the changes for you. 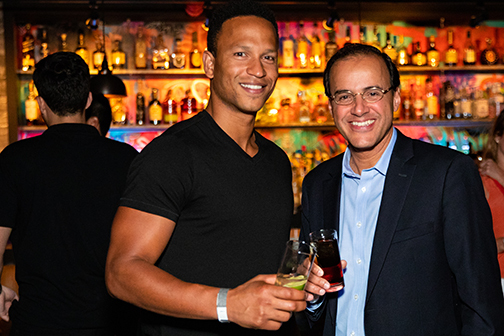 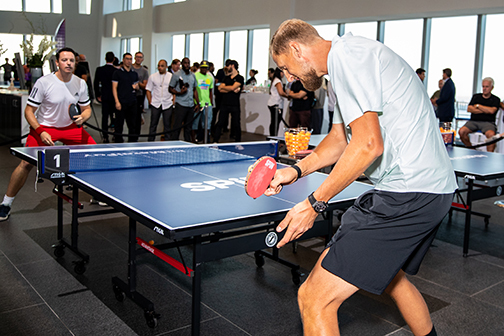 Every package includes the opportunity to mix and mingle with ATP/WTA pros and legends at the exclusive One World Players’ Party & Ping Pong Shootout. 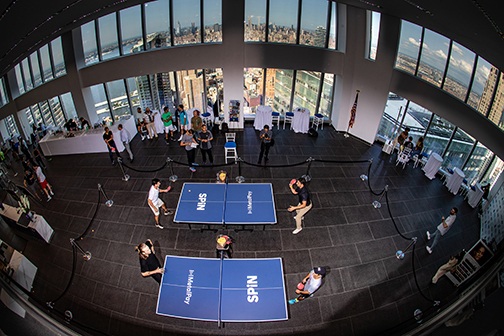 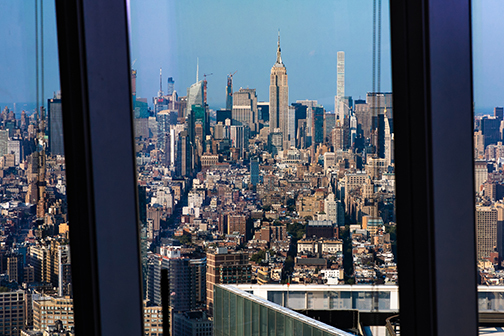 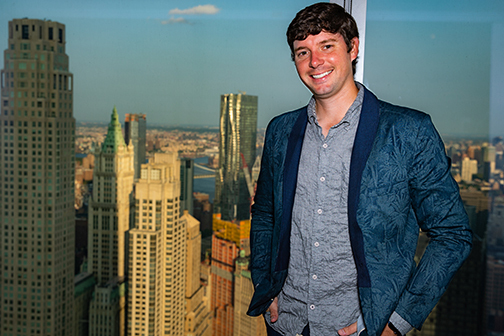 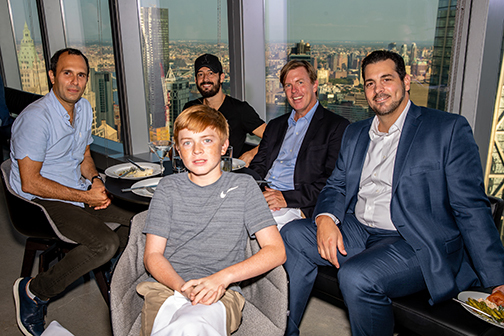 Spectator package ticket for the 2019 One World Players’ Party & Ping Pong Shootout at the One World Trade Center Thursday evening. 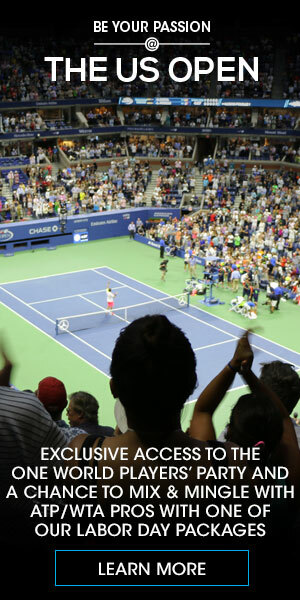 Watch all of the action! 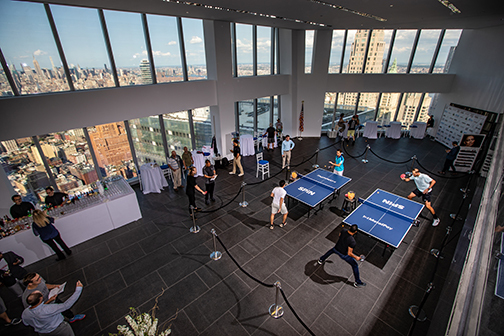 Spectator package ticket for the 2019 One World Players’ Party & Ping Pong Shootout at the One World Trade Center Thursday evening. 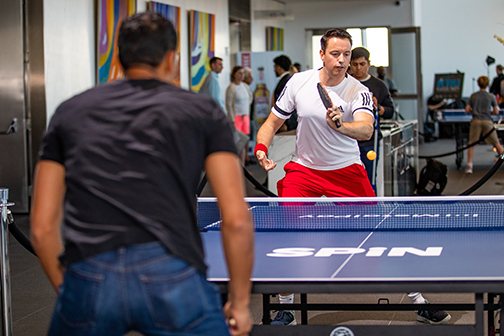 Watch all of the action. 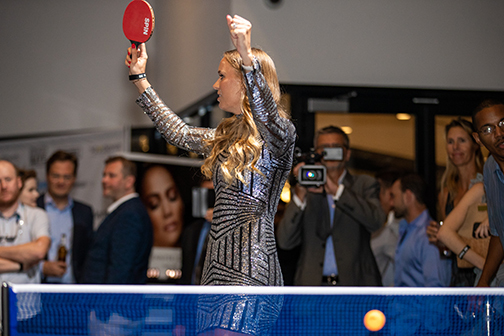 2019 Pros and celebrities to be announced soon! 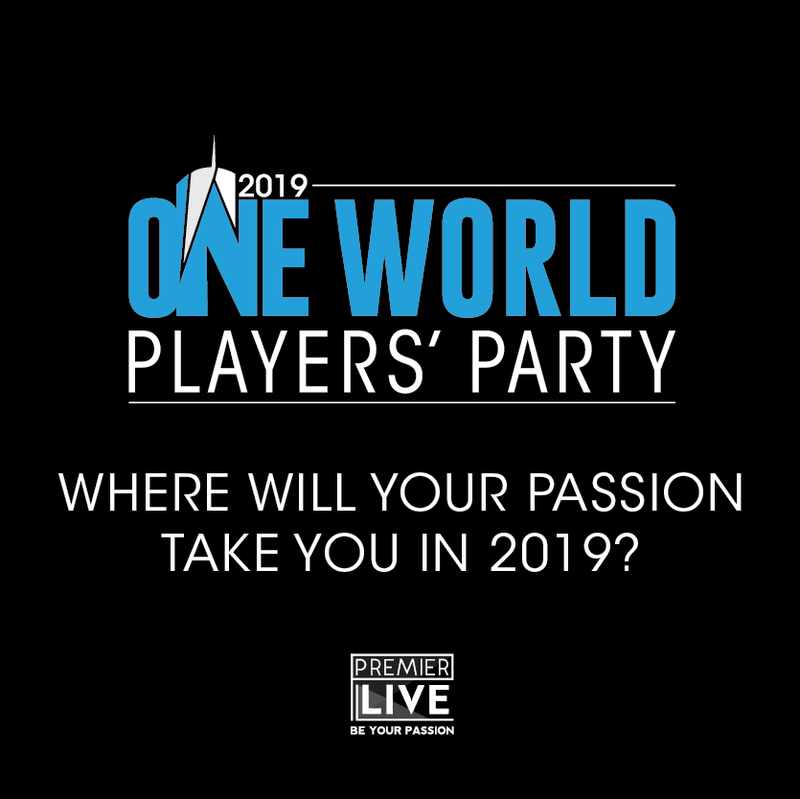 Since 2017, the One World Players’ Party has been enjoyed by some of the greatest talents in the world. 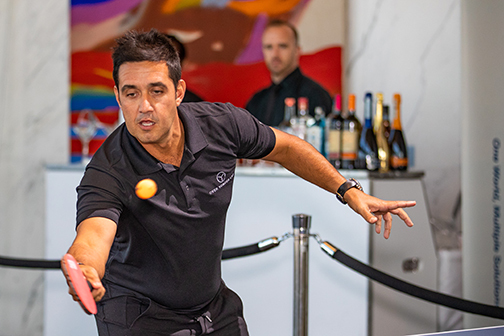 Take a look at our full list of past pros and guests. 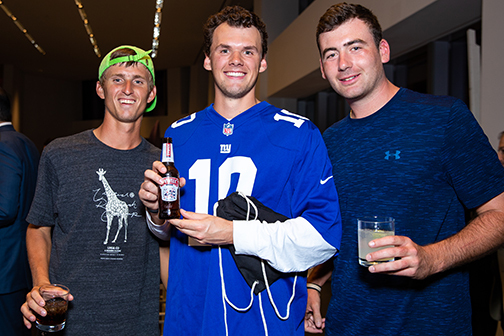 The 2018 Metal One World Players’ Party was a BIG Success! 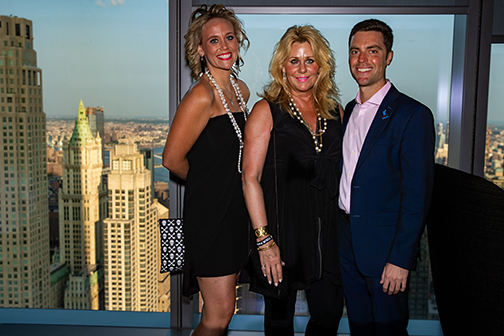 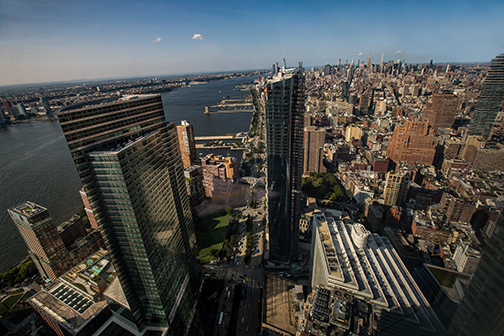 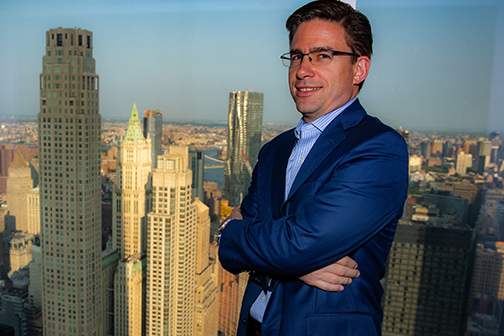 What an amazing second annual event at the One World Trade Center in New York City! 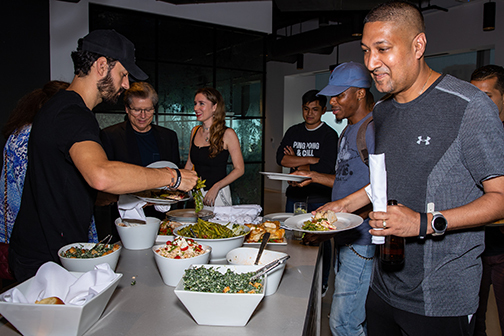 The Premier Live and Mehow teams are grateful for the support received and enjoyed mixing and mingling with attendees last week. 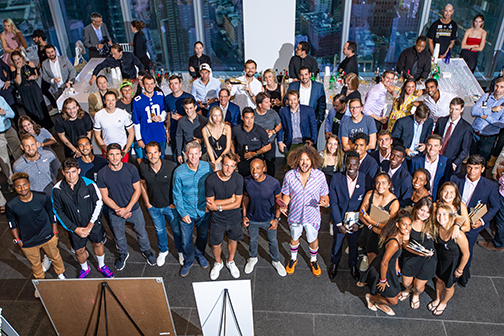 Thank you to our outstanding sponsors, pro & amateur players, celebrities, spectators and guests for making this event top notch! 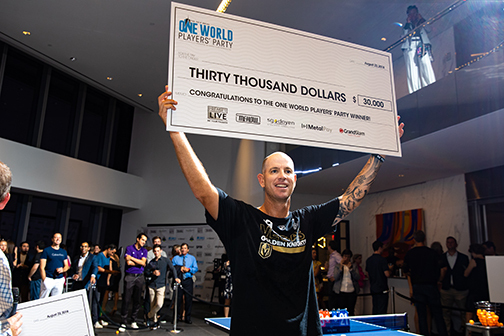 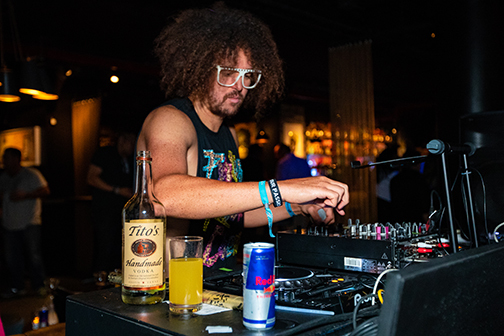 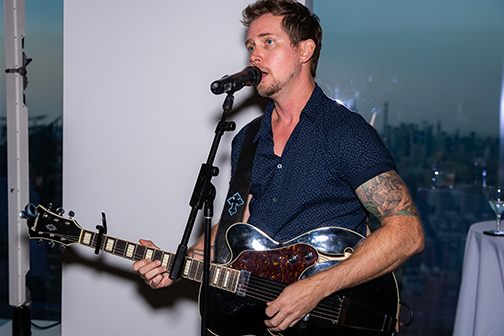 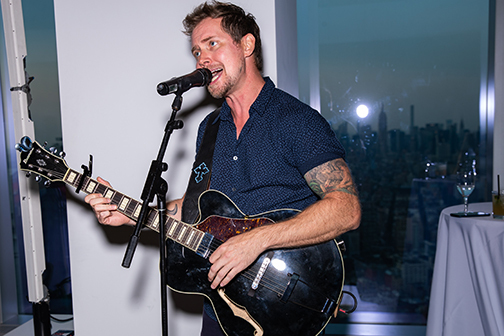 This year’s 2018 Metal One World Players’ Party was a star studded event. 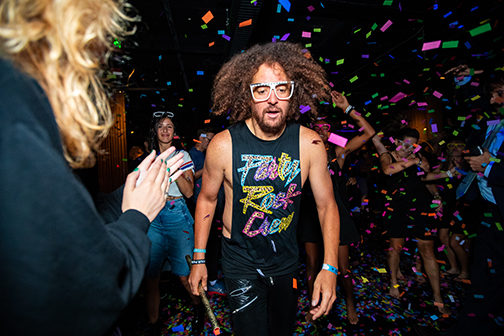 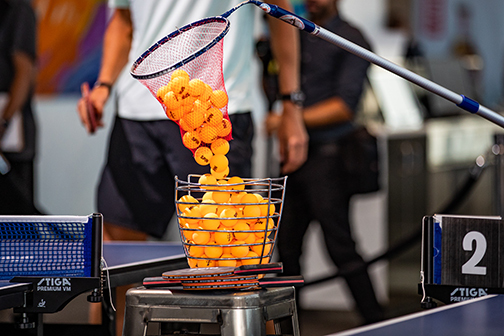 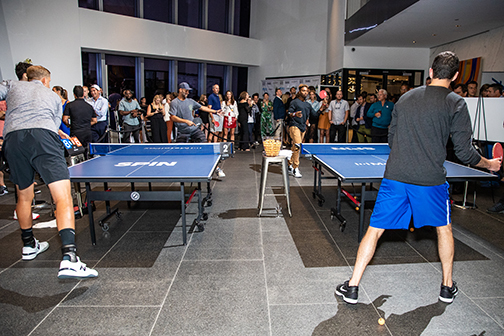 Players vying for their part of the $50,000 Ping Pong Shootout purse included the likes of James Blake, Mischa Zverev, Donald Young, Redfoo, Lucas Pouille, Matt Kuchar, Nick Monroe, Tommy Haas, Mark Knowles, Nick Monroe, Treat Huey, talented amateurs, and so many more. 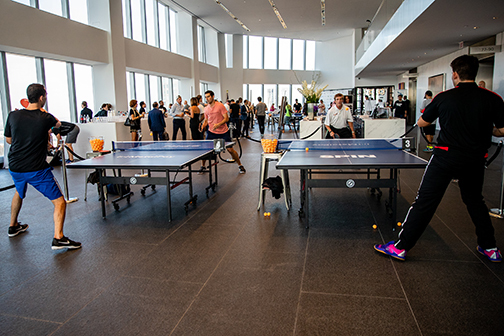 In addition to the fantastic ping pong, celebrities and guests enjoyed an evening of mixing, mingling and networking. 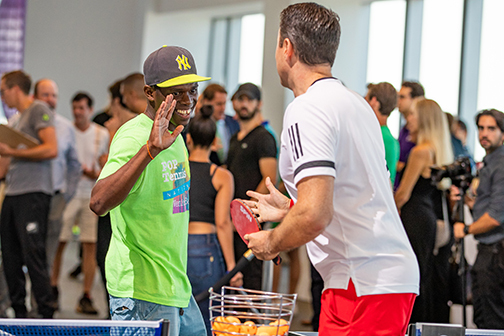 Celebrities in attendance included Grigor Dimitrov, Caroline Wozniacki, Agnieszka Radwanska, Dascha Polanco, Christopher McDonald, Nicole Scherzinger along with others who stopped in for a peak of the action. 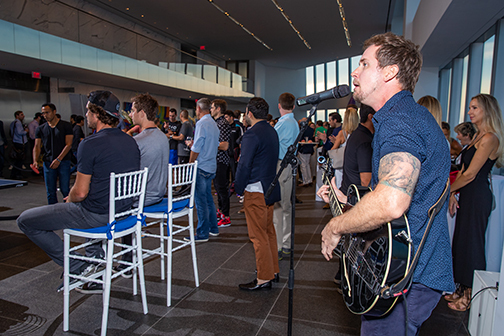 Amatures and guests enjoyed interacting with pros and celebrities throughout the evening. 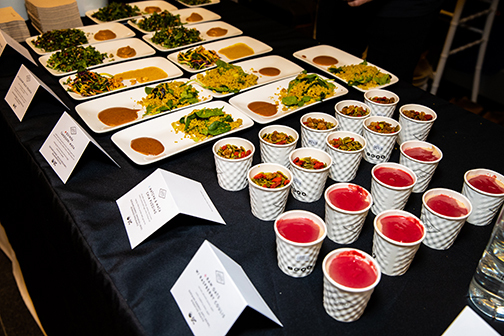 The event vibe was heightened by amazing food and creatively themed signature cocktails. 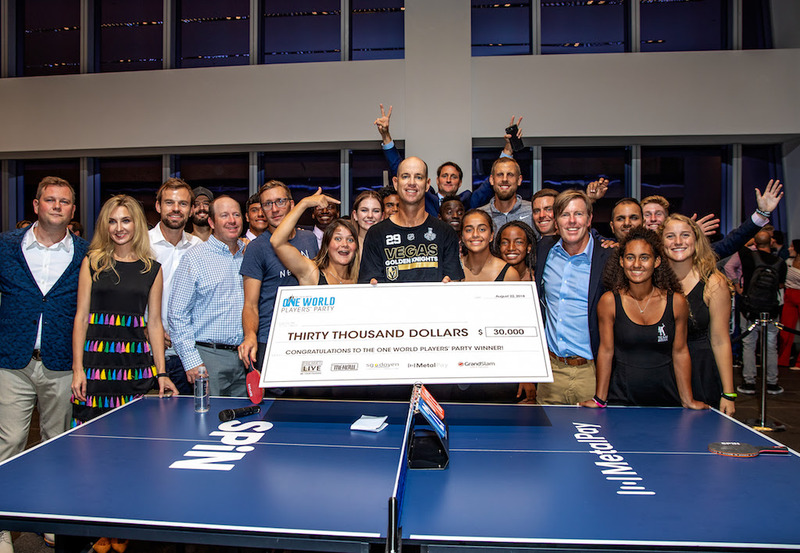 Congrats to Tim Blenkiron for winning this year’s Ping Pong Shootout and the $30,000 grand prize. 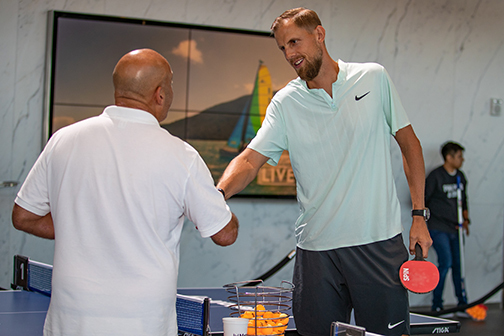 Andreas Siljestroem was the runner up and received a $15,000 prize! 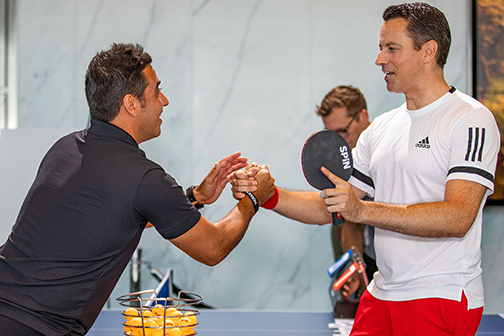 Both of these players fought hard and played to win! 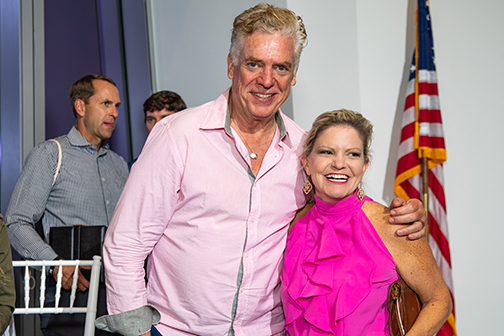 We are excited to share that our benefiting charity, The National Tennis Foundation, received funds not only from the auction but also from private donations during the evening.